You have a Vata-Pitta-Kapha type constitution, the healthiest and most uncommon of all dosha types. 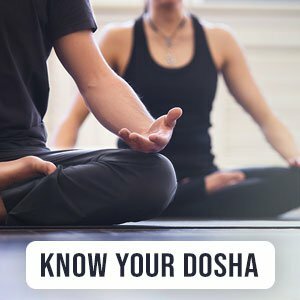 With this naturally balanced dosha constitution, you have the best chance of finding a harmonious balance in life and can be meditative, fit, healthy, and emotionally stable. You have a sharp mind that is intellectual and creative, but also possess a compassionate nature. Try to measure your expectations and appreciate yourself for who you are, as your high expectations can give rise to feelings of inadequacy. You are also blessed with the ideal physique and bodyweight, with healthy metabolic function. This means that gaining or losing weight will not be a challenge if you set your mind to it. Your skin is healthy and clear, unlikely to be either too oily or dry. Likewise, individuals like you, with a tridoshic constitution, have hair that is relatively thick and easy to manage. Your body temperature is also in the optimal range and you can adjust quite easily to varied climatic conditions. Unfortunately, your robust constitution and good health can be your undoing if you take it for granted. Complacency can lead to imbalances because of unhealthy food choices and inadequate physical activity. When such imbalances arise, you become vulnerable to weight gain and metabolic syndrome disorders like obesity and diabetes.